In amongst all the lifestyle SUV predictability here at the 2013 Tokyo motor show, there is some rather more interesting machinery - and we're not just talking eccentric concepts. 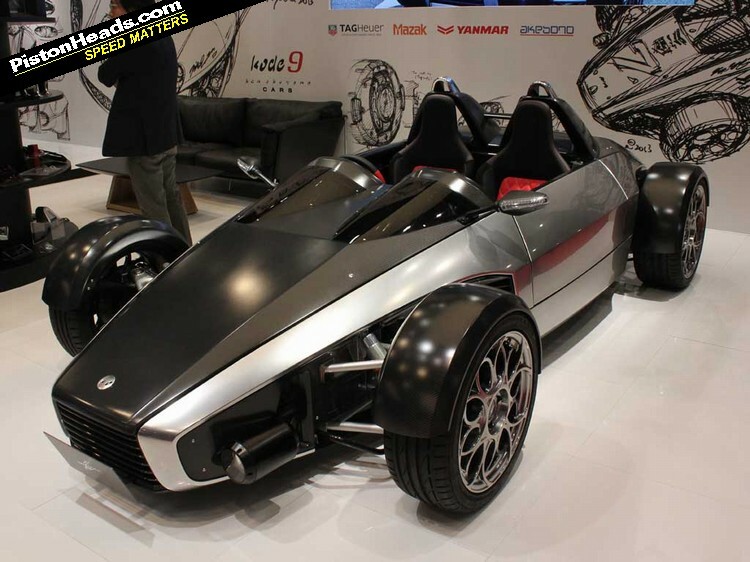 Amongst the most interesting is a pair of new sports car, the Kode 7 and Kode 9, from Ken Okuyama Design. If the name Ken Okuyama sounds familiar, that's because he's a car designer who's previously worked for GM, Porsche and - most famously - Pininfarina, where he was responsible for the Ferrari Enzo and the previous generation Maserati Quattroporte. Some pedigree. You might also vaguely recognise the Kode 7, which appeared at Geneva in 2008 as the ko.7. 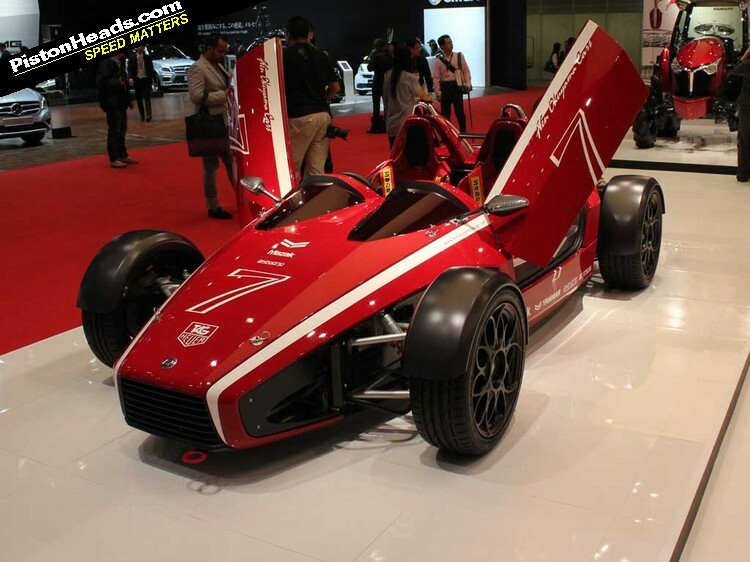 This is a lightweight, pared back track car, looking a little bit like a two-seater Formula Ford - the detailing here is absolutely stunning, from the toggle switches to the exposed gear linkage to the diamond pattern stitching. It weighs as little as 790kg, and is available with a choice of engines ranging from 1.6 to 2.4 litres, which poke out through the top of the bodywork behind the cockpit, emphasising the minimalist vibe. The black and silver car in the pictures is an Exclusive version that's already on sale, the red one a stripped-back Clubman variant making its world debut here in Tokyo. More than 50% of the Clubman's parts have been made using a 3D printer, and the engine in the back is a 250hp 1.6 of unspecified Japanese origin. 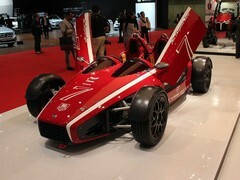 The Exclusive on show features a 230hp 2.0 litre. 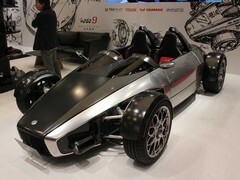 Also making its world debut in Tokyo is the Kode 9. This low-slung coupe is doing absolutely nothing to discourage Speed Racer comparisons with that white and red colour scheme, but Okuyama says, "This is my message to today's car industry which seems stuck in a rut of overly complicated lines and styling based on the lowest common denominator." Retro, yes. Bad on that basis? Absolutely not, as far as we're concerned. And underlining its credentials, the one on display is powered by a 2.0-litre Honda VTEC engine enhanced by an HKS supercharger kit to the tune of 370hp. It weighs just 870kg, and has brakes by Akebono - the Formula One supplier that handles the McLaren P1's stopping power. Both the Kode 7 and the Kode 9 are based around a 'hydro-formed aluminium chassis' - no prizes for guessing this comes from a Lotus Elise. 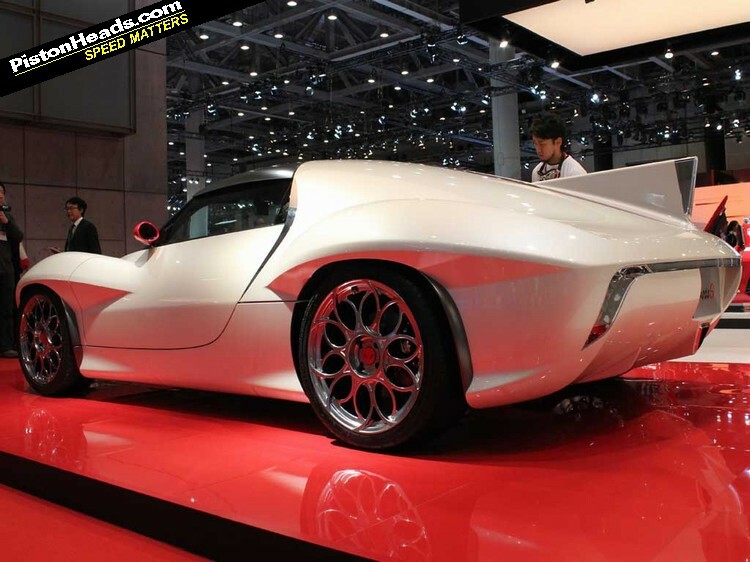 But the Kodes use their own suspension design front and rear, and Okuyama will happily build you one in right- or left-hand drive. The price? Well, that's probably open to some interpretation as it crosses international borders, and since the cars are built to order there are plenty of variables involved. 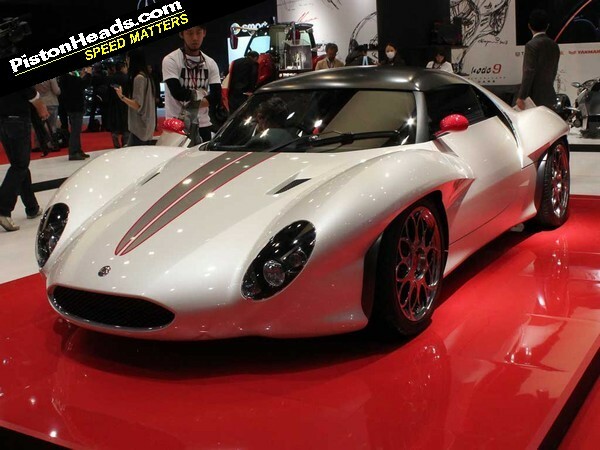 However the Kode 7 Exclusive officially starts at 25 million Yen, which is around £155,000. Both look like somewhat dubious kit cars, one of which is based off a car with a track width about 2 feet too small. Beautiful cars, with what sounds like clever engineering to back them up. Shame they will be so rare. Both nice, but the 7 looks like a MEV Sonic 7, which is a couple of quid cheaper.